I am retired to Crete from England and now enjoying making mosaics. 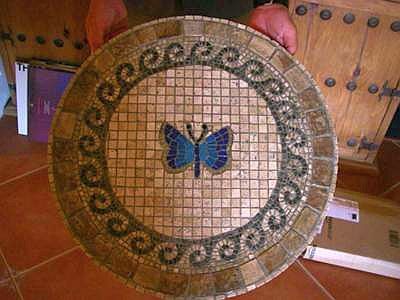 This is my Mosaic table top made with travertine and glass. My current project is a micro mosaic table top of Laural and Hardy and will show when complete.